Technology has been a boon to the retail industry and its supply chain, helping businesses keep better track of their inventory, streamline their order management processes and help reduce costs at a time when efficiency is the watchword of the day. Technology has specifically helped distributors in a number of different ways. Data analytics that can identify important sales trends is one example. Another is automation via an electronic data interchange (EDI) system, speeding up the order management process –– so it’s done in seconds and minutes, not days or even weeks –– allowing distributors connect to buyers’ and sellers’ systems and integrate them into their own EDI system. Here are five ways technology has helped distributors find new methods to increase productivity, reduce costs and even provide the potential for new revenue streams. 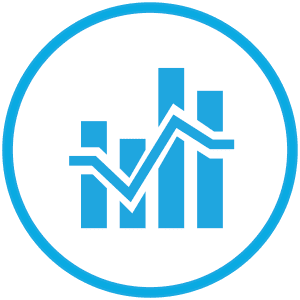 Distributors can look at the sales data for all of their buyer partners to better identify seasonal trends, and even share that information with their suppliers so that all the links in the supply chain can adjust their strategy. This goes beyond the “we get busy during the holidays” general thinking. Rather, distributors can identify when some buyers begin moving more product before others or see across multiple retailers if a trend is forming. They can identify trends and analyze them in granular detail like never before to discover the what, when, where and why, in order to take advantage of the opportunities revealed by the data. Ultimately, this helps them plan their inventory needs, enabling them to anticipate and avoid any overstocks or stockouts. Using data analytics can help in the discovery of problems and opportunities for distributors and their retail partners and suppliers, helping them to make decisions based on past seasonal trends as well as predict future ones. One way that buyers are looking to their distributors for help is in processing drop shipping e-commerce orders on their behalf. They want distributors who can fulfill orders from their own distribution centers, using the buyer’s branded packaging. Offering additional services is one area of opportunity for distributors to open up the potential for new revenue streams. But drop shipping has to be fast and accurate to keep a distributor’s customers happy. Since it’s the buyer’s reputation on the line, they want more on-time fulfillment, fewer returns and the ability to meet their shipping deadlines. In the industry, these are known as “perfect orders.” Some retailers and third-party marketplaces, like Amazon Marketplace and Walmart Marketplace, expect an on-time shipping rate of 95 percent and higher with a similar “perfect order” rate to boot. The fuel pushing this trend is consumer behavior and the retailers who are bending over backward to accommodate what is often referred to as “the Amazon Effect.” Amazon has set the bar for what consumers expect from their online ordering experiences. Retailers are trying to follow suit, and they look to drop ship capable distributors to help them do it right. Fulfillment EDI from SPS Commerce can empower a successful drop shipping program by facilitating communication and automating manual tasks within the order management processes and between retailers, distributors and the end consumer. With algorithms and artificial intelligence, it’s possible for a retail order to be automatically directed toward a distribution center that can provide the right products in the shortest, cheapest and fastest delivery options possible. Whether that’s a distribution center that’s 100 miles from the customer, or the only DC that has the product in question, the order is immediately received, fulfilled and shipped within the time specified by the buyer. 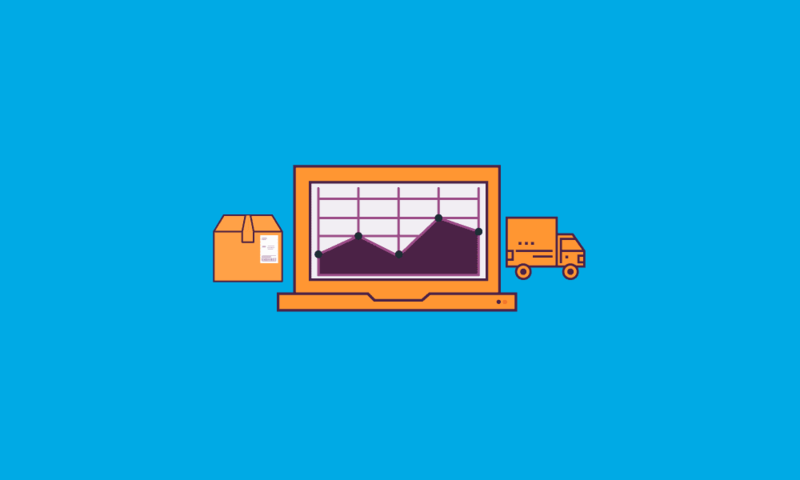 Many large e-commerce brands choose to work with drop ship capable suppliers and prefer to work with those that offer multiple regional distribution centers as a way to quickly fulfill their e-commerce orders as they can ship orders out faster through several small regional centers, rather than one or two large ones. This allows them to offer two-day shipping and compete with Amazon and Walmart. Over 20 years, SPS Commerce has supported many businesses, including distributors, retailers, 3PLs and other players in the supply chain, in streamlining fulfillment and shipping processes and is able to help you find new efficiencies, reduce costs and improve delivery times. Inventory transparency allows e-commerce sites to display the most up-to-date inventory counts, which tells customers when a product is in stock, or removes it from the site when it’s out. When customers visit a buyer’s website or system they are able to see real-time inventory counts for a particular product, helping them make better buying decisions faster. This helps to eliminate out-of-stock problems for customers, which can damage a buyer’s reputation. EDI, via the Inventory Inquiry/Advice document, helps in accomplishing this automatically. Also known as EDI transaction 846, this is an inquiry that is sent between a retailer and a distributor (or a distributor and a supplier) to find out how much inventory is on-hand and where. Distributors can even set alerts on specific products for automatic reorders or set-asides which helps them to avoid running out of an item before the replacement inventory arrives. Distributors who don’t have an EDI system are no doubt faxing, emailing and phoning about purchase orders, purchase order acknowledgments, inventory revisions, advanced shipping notifications and packing lists, none of which match up when the final invoice is being processed. Ever-changing inventory counts, ordering mistakes and even typos can all lead to a lot of inefficient time spent on an inefficient system by an overabundance of staff. EDI has turned a labor-intensive, error-filled process into something that can be handled by a single person or a small team. An EDI system helps distributors and buyers handle their transactions quicker, more efficiently and cleanly with minimum human intervention. Once an order has been placed, it triggers the right forms to trade back and forth with the right quantities and product numbers sent immediately. It also reduces the number of people needed to manage the hundreds or thousands of transactions per month. An industry leader in the retail technology space, SPS Commerce has been pioneering leading technologies in helping retailers and suppliers alike in finding efficiencies to help them scale their processes within the retail supply chain, helping to reduce stockouts, improve fulfillment rates, shorten delivery times and spot troubling trends before they become too large. For more information on how to incorporate EDI or other supply chain technologies into your business, visit the SPS website and receive a free demonstration about our different software solutions, or speak to one of our supply chain experts.